Canggu village and beach are increasingly recognized. Canggu is a village in the District of North Kuta, Badung, Bali. 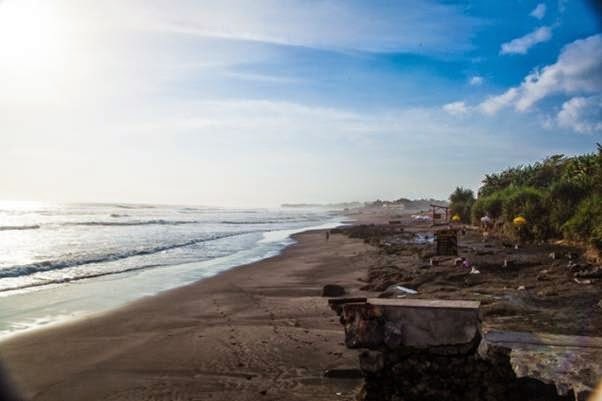 Canggu has a beach that is now the target of foreign tourists. The beach was also named Canggu. Canggu Beach is a beach located in Bali, located in the village of Canggu, excl. North Kuta, Regency, naughty. The distance is approximately only a few kilometers from Legian, The distance to the beach location is approximately 18 km from the city of Denpasar and approximately 45 minutes away when using a motor vehicle from Bali's Ngurah Rai Airport. The uniqueness of Canggu beach is a paddy field located across from the beach, fields were quite spacious and airy, complete with birds that fly over it. The atmosphere at Canggu Beach is quieter than other beaches such as Kuta, Legian or Tanjung Benoa everyday pretty crowded. Activities that can be done here swimming, fishing, sunbathing, saw sunset and watersport facilities such as surfing and snorkeling. Can be found serenity with nature is still green. Slip on your tour trip, if a visit to Tanah Lot you will run track direction to Canggu, a time to enjoy the feel of Canggu beach which has the character of the beaches in South Bali. This beach overlooking the Indian Ocean. Here you will find the beach area. The beach here is very suitable for the windsurfer. Where in the afternoon we could see the sunset view is beautiful. And for surfing enthusiasts, Canggu itself is famous for its waves you into heaven itself for surfing enthusiasts. Across the Canggu beach you will see the expanse of rice fields, a mix of beautiful scenery. This coast has waves and good waves for surfing enthusiasts, so the Canggu beach becomes the target of local and foreign surfers, each day more dominated by surfers, but at the weekend a lot of locals come to relax, relieve fatigue. Had also become a place of international events, namely the Indonesian Surfing Championship (ISC) followed surfers from around the world. 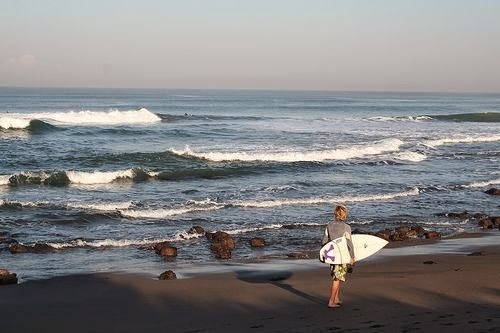 Canggu is indeed one of the famous attractions in Bali to surf sports.